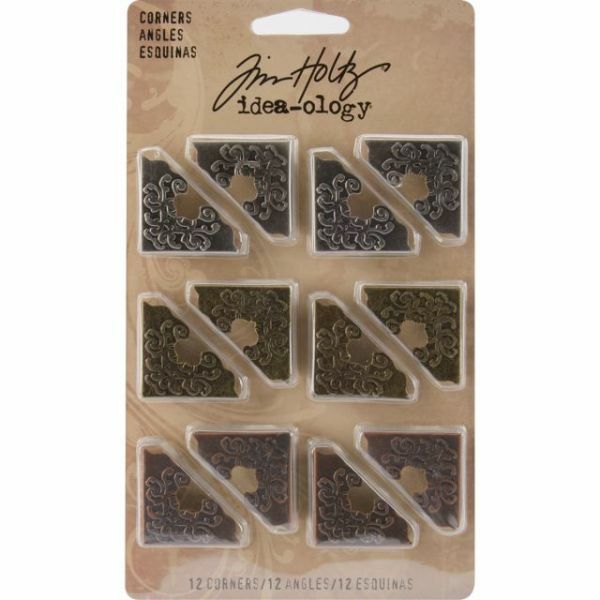 Idea-Ology Ornate Corners 1" 12/Pkg - ADVANTUS-Tim Holtz Idea-Ology Corners. These fabulous corners aren't for photos! These metal corners were designed for page corners, album cover corners and much more! 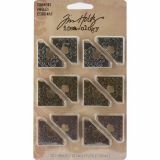 This package contains twelve 1in corners: four each of three finishes (antique nickel, antique copper and antique brass. Imported.